Last week adidas revealed their Dragon Ball Z collab Cell, Frieza and Majin Buu-inspired silhouettes and now the rest of the sneaks have been dropped. Now some new images have surfaced, one of the protagonist Goku which made use of the adidas ZX 500 RM model and is dressed up in Goku’s signature colors of orange and blue with a hit of red on the midsole. Then some final images showcasing Vegeta, Gohan and the spiritual dragon Shenron have been shown too. For Vegeta the Oregon Ultra Tech silhouette is used featuring the characters signature blue, yellow and white colorway on the upper matched with a solid black midsole. 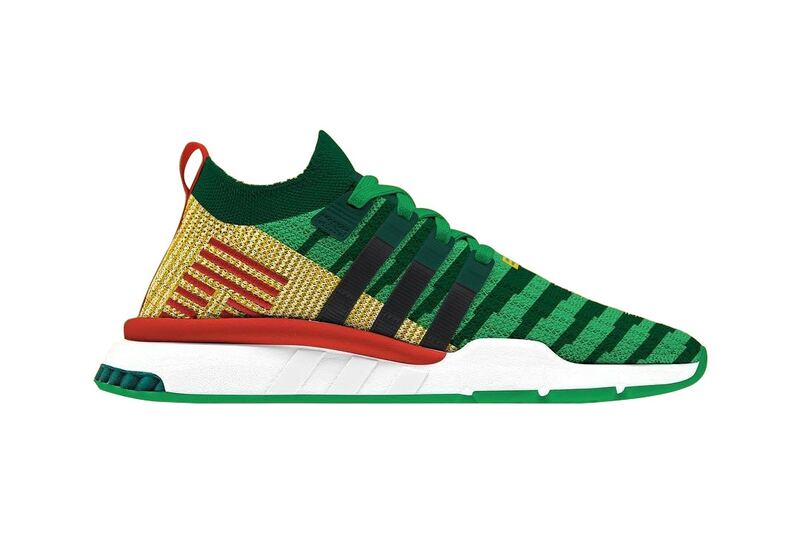 While Shenron’s makes use of the EQT Support ADV Mid featuring a mostly green Primeknit upper with hits of gold and red throughout. Gohan’s sneak takes a minimalist Deerupt model and sees an all-over purple upper and midsole.